It's the time of year when temperatures start spiking into the upper reaches in most of the country -- and it's a dangerous time for children, disabled people, pets, and others who are at risk of being locked in sweltering cars. A bill introduced in Congress this week -- the Helping Overcome Trauma for Children Alone in Rear Seats Act (HOT CARS Act of 2017) -- would require cars to be equipped with a system that alerts the driver if a passenger remains in the back seat when the car is turned off. 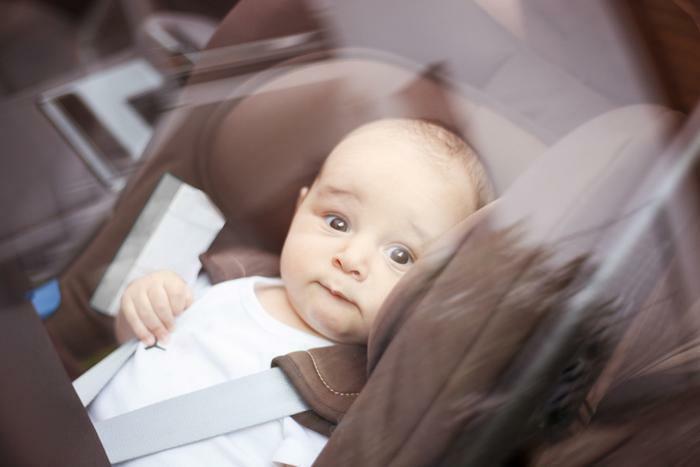 “Since 1990, nearly 800 children have died from heatstroke in vehicles,” said Rep. Jan Schakowsky (D-Ill.). “My colleagues Rep. Tim Ryan (D-Ohio), Rep. Peter King (R-N.Y.) and I are introducing the HOT CARS Act today in hopes of bringing that number down to zero. "Even the most attentive parent can get distracted and forget a child in the back seat of their car." Rep. Ryan said cars already alert drivers "when they leave their keys in the car, their lights on, or their trunk open – none of which are life threatening." "Cars are mandated to have seat belts, interior trunk-releases, and rear backup cameras. Our legislation would move us one step closer to getting this inexpensive technology in every car on the road to help save the lives of children nationwide,” Ryan said. The bipartisan measure is being supported by more than 20 public health, consumer, and safety organizations. Its introduction coincides with the kickoff of the National Vehicular Heatstroke Prevention Campaign by the National Highway Traffic Safety Administration (NHTSA).